The Case Shiller Index was released last week and it was announced that national sales prices increased by 7.3% during 2012. This spurred development in all areas of the market. Builders across the country are increasingly finding it difficult to obtain administrative clearance and workers to accommodate the demands of the new housing market demand. Sellers across the country are still holding onto their homes and condominiums in hopes that the prices will continue to increase, as they have for the past year. According to the National Association of Realtors, the number of homes available is at an inventory comparable to 1999. Given the lack of construction in the past few years builder confidence is at a historic high and with the mortgage rates maintaining low levels as well, both buyers and sellers are taking advantage of this market. Conditions could not be more favorable nationally, and in Broward especially we are seeing incredible increases in property values. According to the Greater Fort Lauderdale Association of Realtors, the new median price for existing homes increased to $227,000. This is a 23% increase from a year ago. In February there were 7% more sales than in February 2012. In Palm Beach County as well, there were incredible gains of 27% increase in the median home prices, and in February saw a gain of 10% from last year. The strongest aspect of the market is in existing condominium sales. The investor demand and limited supply of condominiums and homes has buyers acting with precision and speed, often paying list price for homes that are comparably priced in the market. One of the potential issues with this is sellers feel their homes are worth more than they are, given inventory. If you are looking to sell your home, there are buyers on the market, but always make sure you are in line with comparables in your building or neighborhood. 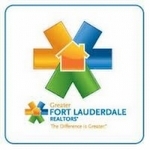 I am happy to provide a comprehensive comparative market analysis of your home.